Registration begins at 8:00 am. Kindly arrive with ample time to sign in, receive your workbook and badge holder, and find your seat of choice. The class will begin promptly at 9:00 am. Please be punctual. If you are late, you will not be permitted in the lecture hall until the first break. If you are late returning after a break, you will not be able to enter until the following break. This is to prevent disturbances to Mr. McKee and the other seminar attendees. Specific seats are not generally assigned during registration. Seating at the seminar is on a “first come, first served” basis and therefore we recommend that you arrive early so that you may select your desired seat. We do reserve a number of spaces at the rear of the lecture hall for those using laptops. See below. If you need to get up from your seat often (for health reasons, comfort reasons, etc.) please sit in an aisle seat and towards the back of the theatre. If you require any special seating arrangements, please let us know. We will do our best to accommodate you. The seminar schedules appearing on our website and in our emails are only intended to be a guide to help you prepare. The times set out within the schedule represent our best estimates. Mr. McKee aims to wrap up the seminar within these time limits, but, as with all live performances, occasionally a seminar runs shorter or longer. The seminar outlines and film / television references appearing on the website and in our emails are also only intended as a guide to help you prepare. As Mr. McKee continues to update his seminars with more relevant and more recent references, these items are subject to change. 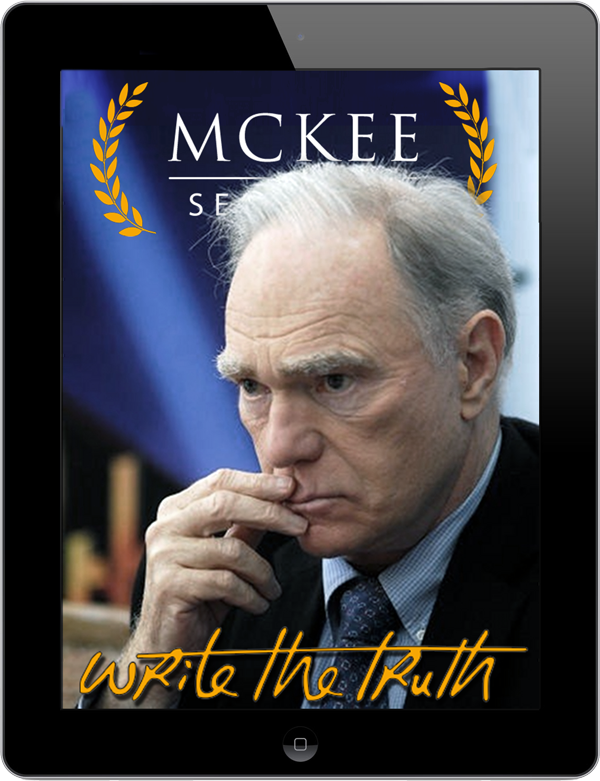 While Mr. McKee may occasionally invite responses from the audience during the lecture, as a general rule he will take questions only during the breaks due to the massive amount of material he must cover during the seminar. Please be aware that Mr. McKee has very strong opinions on religion, politics, and society and he occasionally uses equally strong language to express them. The use of mobile phones during the lecture is prohibited. The applies to both voice and text functionality. We recognize the importance of these devices to everyday life, but, for the sake of Mr. McKee and your fellow attendees, please ensure they are set to silent and stowed out of sight. Failure to do so may result in a fine. The use of laptops and tablets is allowed provided it does not interfere with other students. As mentioned above, we reserve space in the rear of the lecture hall for laptop users. Please note that we cannot guarantee that there will be sufficient (or any) power outlets available in the lecture hall, however, so charge your batteries! The Seat Deposit option allows you to reserve a spot at the seminar by paying a non-refundable deposit of $100/£100. This deposit will be applied to the full price of your desired Tuition Package, the balance of which will be due two weeks before the seminar at the latest. If you do not register and pay in full by that time, your seat will no longer be reserved. Any kind of video or audio recording of the seminar is strictly forbidden and will result in legal action. See the Terms and Conditions below. You are permitted to use Copyrighted Materials from the seminar for your own private, personal, and non-commercial use, provided Copyright Materials copied, summarized or paraphrased must be acknowledged in the body of the work using in-text citation, footnotes or endnotes. 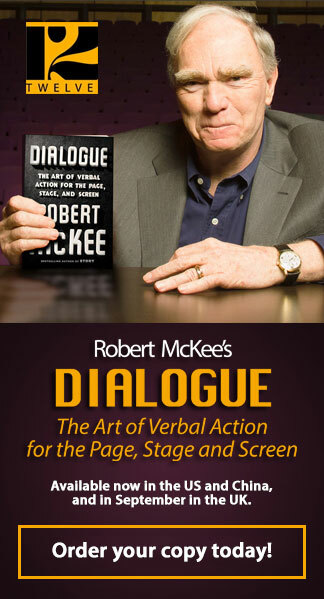 Any use, reproduction, modification, alteration, public performance, transmission, redistribution or other exploitation of the Copyrighted Materials, other than what is expressly set out herein, is prohibited without the express written permission of Robert McKee. You are not permitted to remove any copyright notations from the Copyright Materials. Audio or video recording of the seminar is not permitted. Use of video or audio recording equipment is strictly prohibited, and Two Arts Incorporated reserves the right to confiscate any recording. If a participant breaches this condition and is found to be recording the seminar, the participant will be asked to leave the seminar, there will be no refund of the registration fees, and legal action will follow.